Couples who want to celebrate the Sacrament of Holy Matrimony should contact a priest or deacon to arrange marriage preparation and to schedule the ceremony. 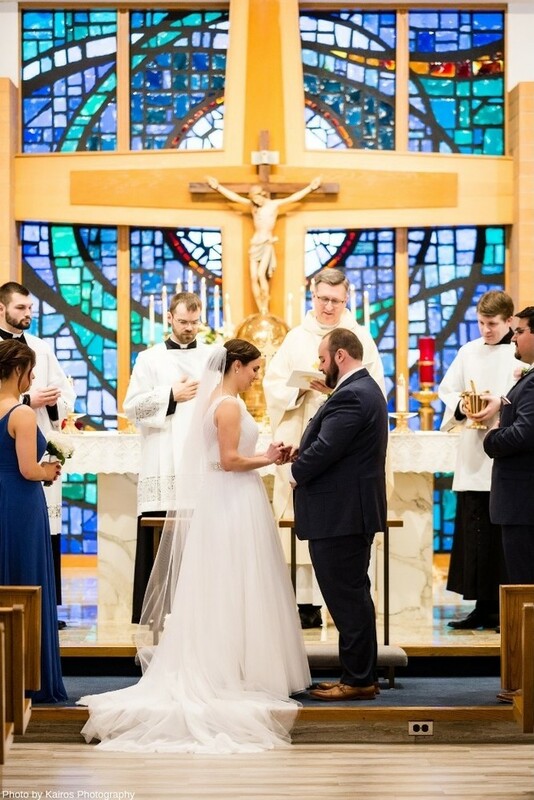 Archdiocese of St. Louis policies requires couples to contact the priest or deacon at least six months prior to the anticipated wedding date and to participate in faith and relationship building activates. No date is final until after the couple has had an initial meeting with the priest or deacon. Assumption Church is also available for parishioners who wish to be married by a priest of deacon who is special to them. To schedule the wedding, please contact the parish office.